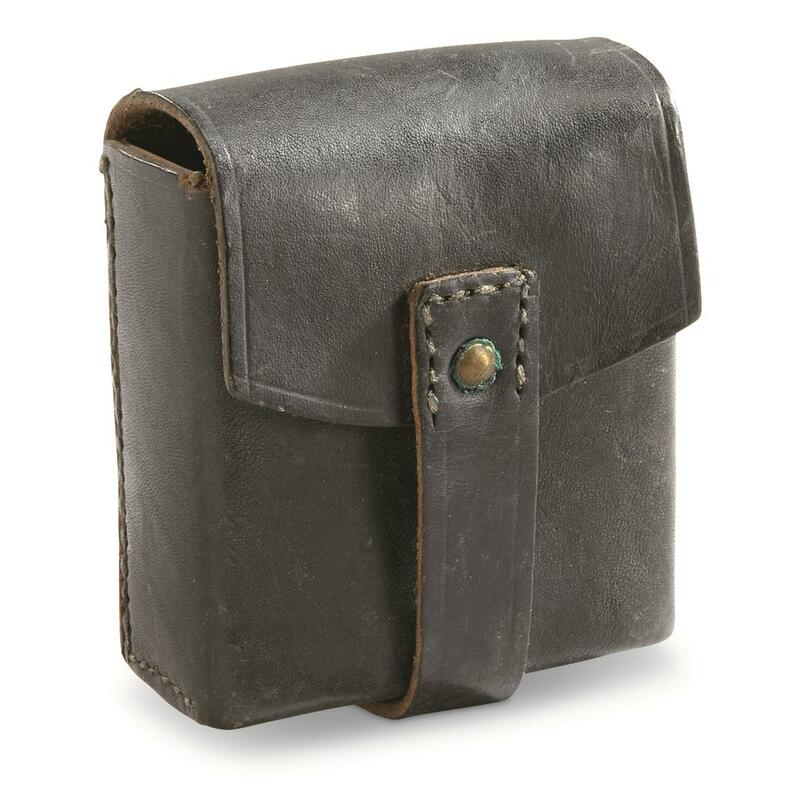 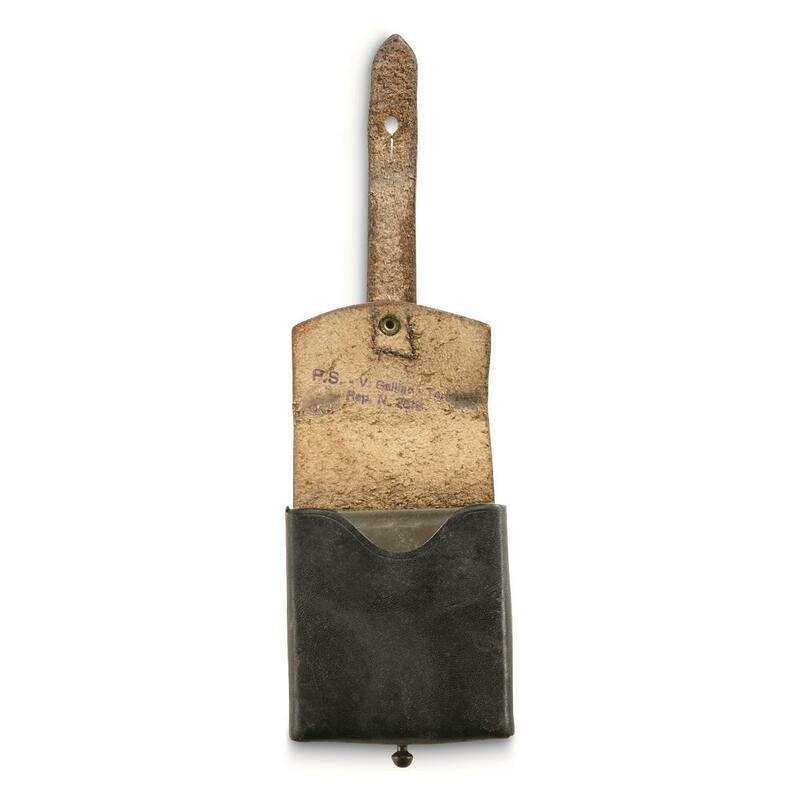 3.5"h. x 3"w. x 1.5"d.
This Italian Military Surplus Leather Cartridge Pouch is just the ticket for keeping mags or other small gear within easy reach. Pouch attaches easily to your belt and is constructed from durable leather, with a strap and brass stud for securing your contents. 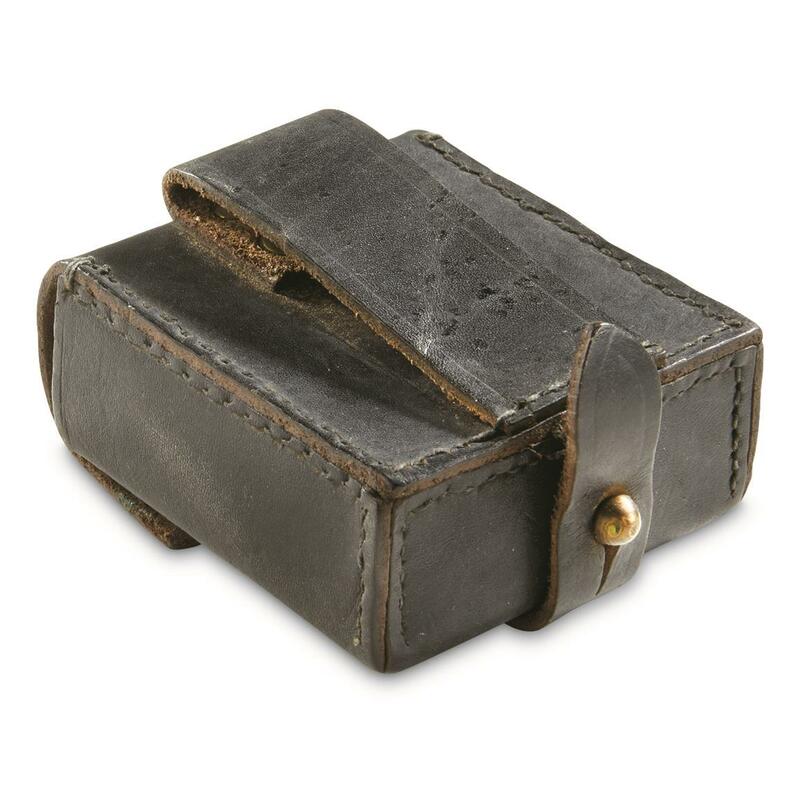 Dimensions: 3.5"h. x 3"w. x 1.5"d.
"Hi Power" mag carry for range day.